Jan. 30, 2013 — Pennsylvania State University assistant professor of English John Marsh discusses “Class Dismissed: Why We Cannot Teach or Learn Our Way Out of Inequality.” Marsh’s study questions the limits of education as a tool for eliminating inequality and poverty in the United States. 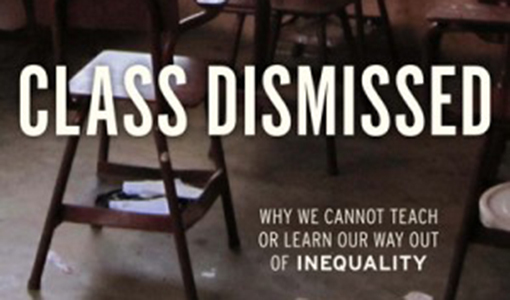 Marsh suggests that though Americans have often looked to education as one remedy for inequality, education has increasingly been viewed as the central method for reducing poverty and inequality. Other responses, Marsh says, are more effective — including redistribution through higher wages or social programs — but have been pushed to the margins. Note: This interview was originally recorded in September 2011.